This past weekend was fairly uneventful. I was at home crafting, blogging, and reading; I try to read some of my favorite blogs everyday and I was so excited when I saw this post from Caitlin at Southern Curls and Pearls! 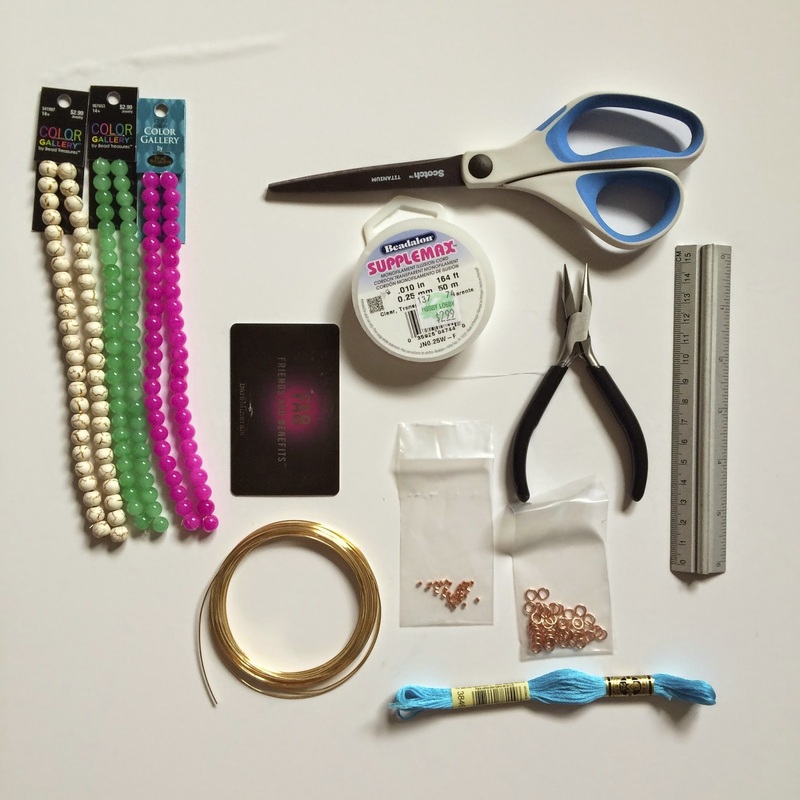 She had such a good tutorial about a DIY tassel bracelet project. I thought I would try her tutorial but instead mimic this necklace from ILY Couture. 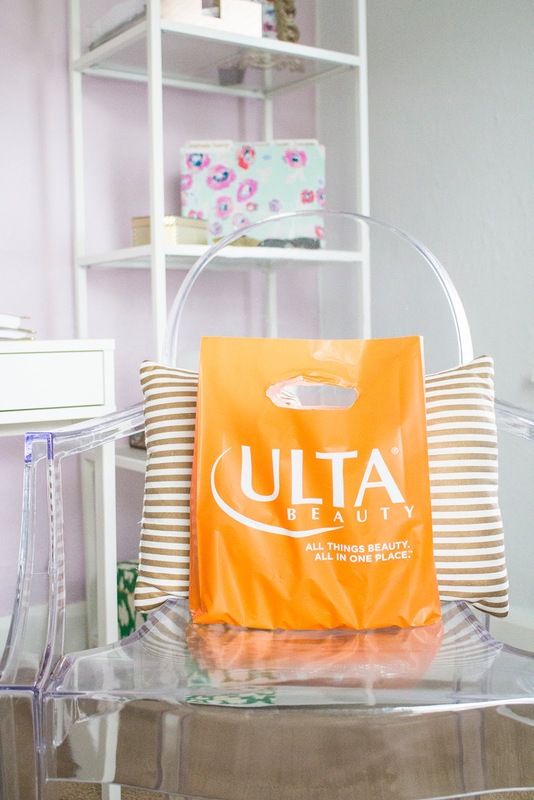 You can find all of these items at your local craft store. I found mine at Hobby Lobby but I am making another one and went to Michaels…they have everything as well. 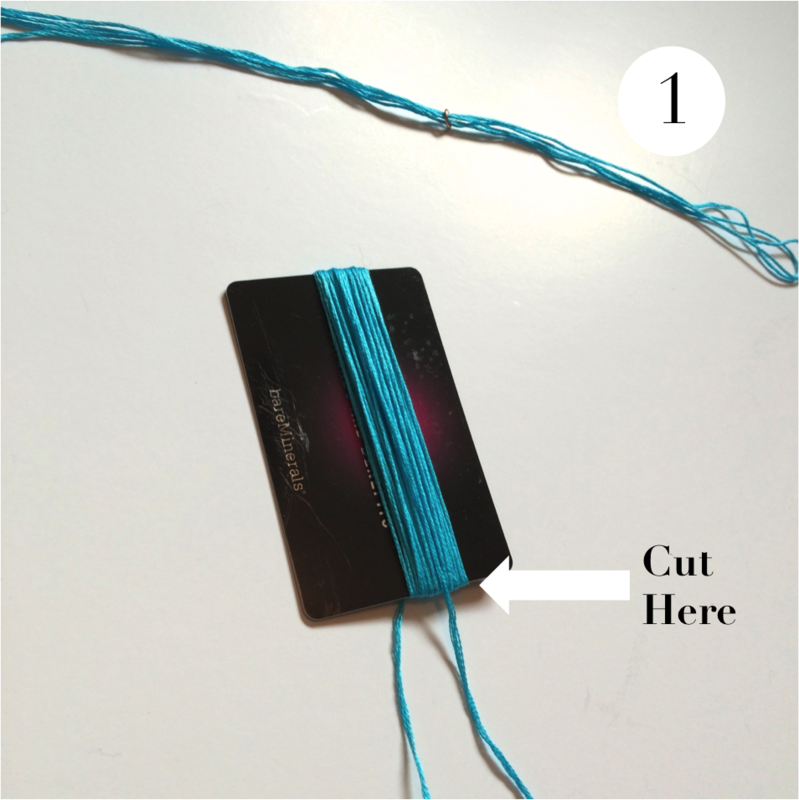 STEP TWO// Using the rest of your embroidery thread, wrap the thread tightly around your credit card (the long way). Once all the thread is wrapped, cut the thread on one edge of the credit card, making sure all the thread stays together. STEP 3// Tie your thread (from step one) around the middle of your cut embroidery thread. The jump ring should be in the middle, at the top, and the knot should fall underneath. 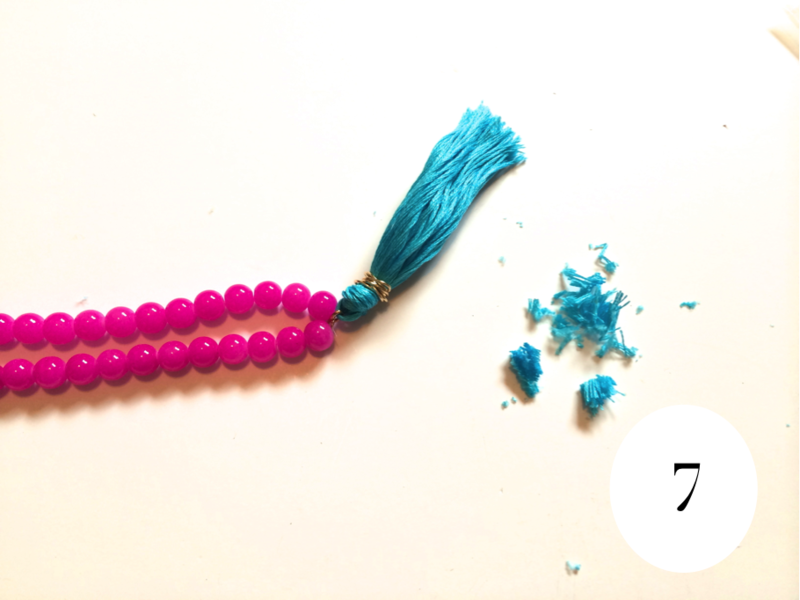 Step Four// Take both sides of the tassel and pull down to combine. 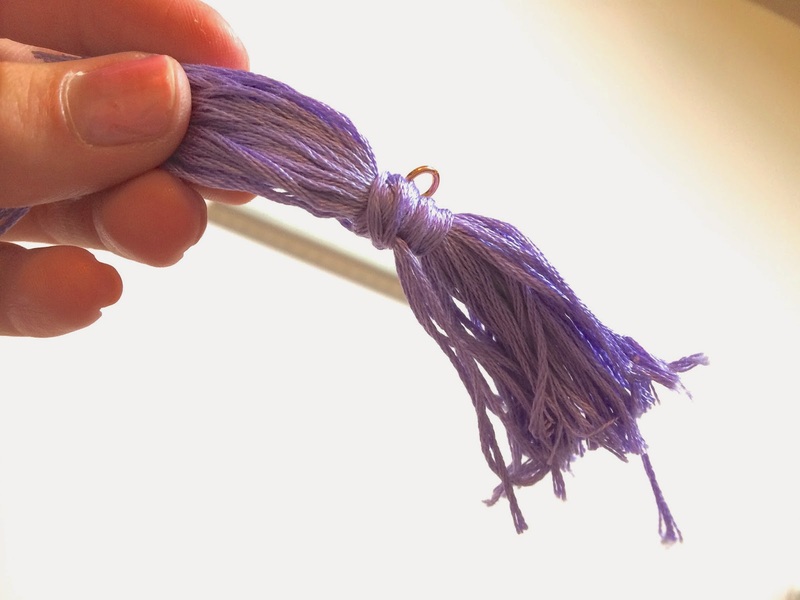 Wrap your gold wire around the top with your pliers to hold the embroidery thread together…this forms your tassel. 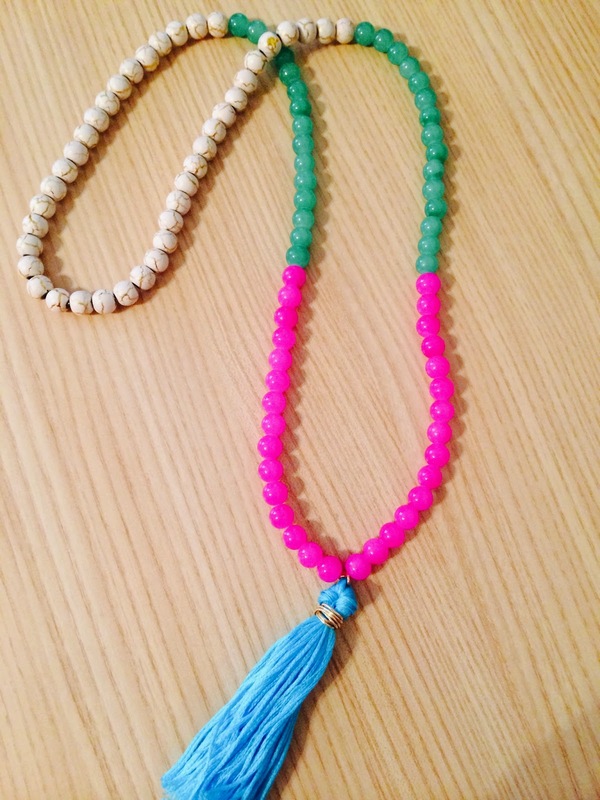 STEP 5// String your beads onto the clear jewelry cord, I used 40 white/gold beads and 30 green and pink beads. Once finished, string both sides of the cord through the crimp beads and tassel. See the picture for more detail. STEP SIX// Pull the strings together tightly and clamp down on the crimp beads on wither side of the tassel with your pliers. 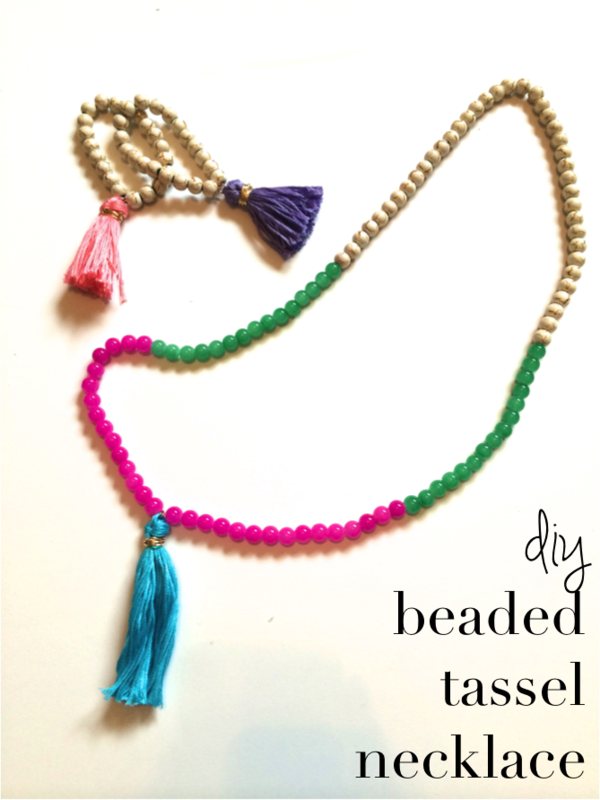 The crimp beads hold your string and tassel in place. Cut off the leftover string! 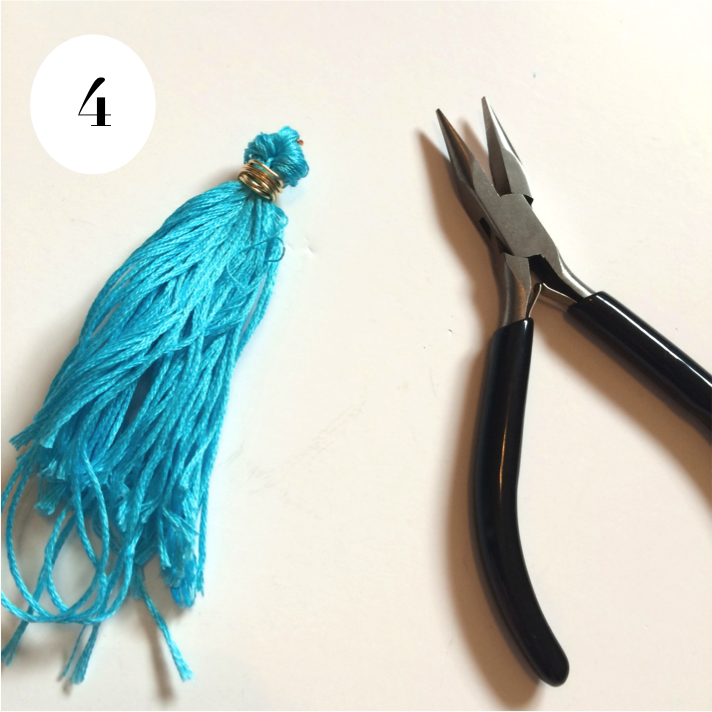 STEP SEVEN// Using your scissors, cut the end of the tassel to create an even bottom. Don't cut off too much at once, you can always go back and fix little ends. And your done!! 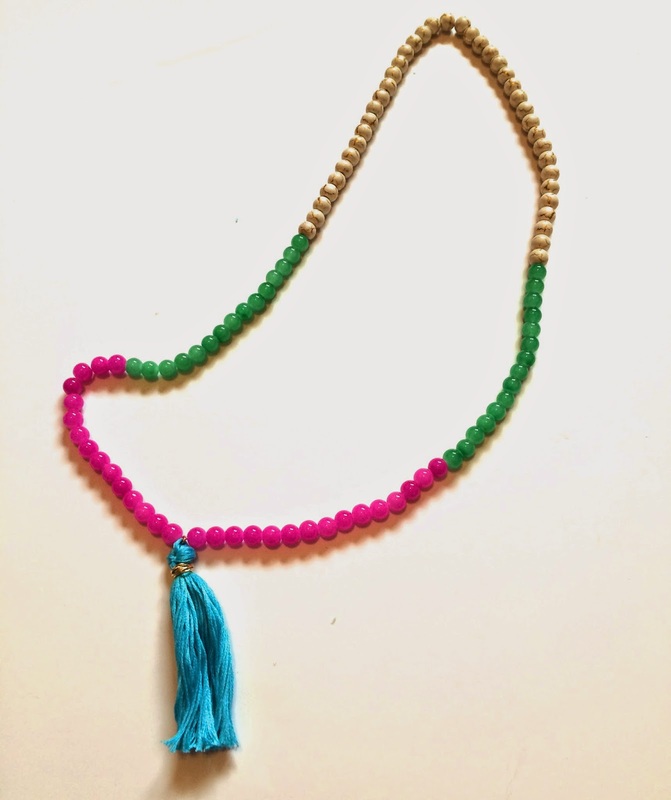 This necklace was pretty easy to make, my tassel could use some work and there are some things I would do different but all in all it is so cute! A great addition to my necklaces!